Choosing a modern theme or a template for your future website is an extremely important step and should be given great importance. There are a lot of themes created to serve as a template for many different activities and finding a good one for your site is essential. Whether you want to sell home-made products, you have a culinary blog, you are passionate about photography and want to showcase your work, you are an architect and you need a good portfolio layout or you want a suitable template for a news blog, the important step is choosing the right, modern and responsive theme that will satisfy all your needs. That’s why we came up with a list of 25 modern Website templates best suited to create great sleek sites. So, besides the fact that it is very important to make sure that the theme you are using comes with some technical support and perfect functionality, you must be careful to have a suitable design for your type of activity. 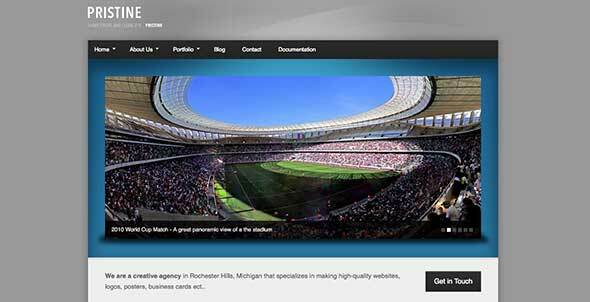 As you will see below, many of the website templates presented have an ultra-modern design, some are clean and minimalist, others exhibit a look based on geometric shapes and dynamic layouts or are actually very minimalist. A neat and modern website can make a great difference between a thriving site and one not that successful. The visitors to your website are mindful of such aspects, plus using a modern template is also an asset in terms of functionality, an aspect to which you must be extremely careful too. Hoping that this article will serve as a source of inspiration, we invite you to go through the themes we consider to be suitable as modern site templates. 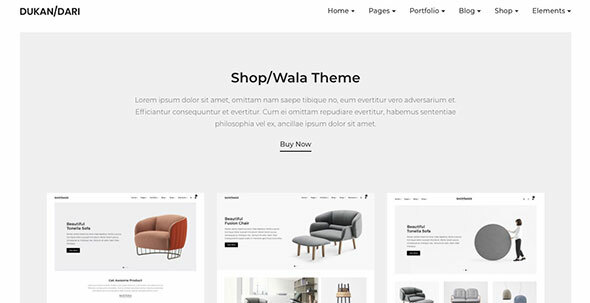 Lapa is a clean and modern WordPress theme which you can use for your online shop. It comes with more than 9 header layouts, many blog layout and portfolio combinations, is retina ready, it is optimized for speed, is highly customizable, easy to install and use, has social share functionality and also a great Visual Composer which enables users to develop various page layouts with the tiniest effort. The design is minimal and is based on a white background on which dynamic product images are displayed. 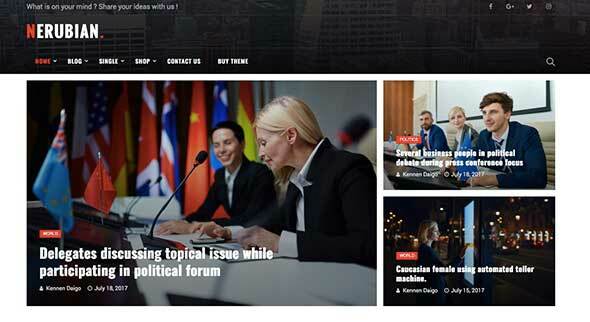 Nerubian WordPress theme was designed for magazine blogs and websites and offers a more organized and minimalist look with a layout suitable for title news and important headlines. Nerubian is easy to customize and use, is highly responsive on any mobile device, has advanced header features and header background variation, is Retina ready, a visual page builder and many plugins that will make your experience using this theme an easy one. 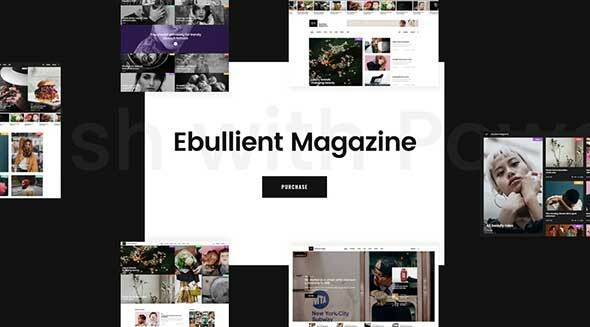 Ebullient offers a dynamic and minimalist modern look, with many artistic elements and images, with a powerful central call to action message and a black background that highlights the message. This theme is highly customizable and you don’t require any coding knowledge, has 9 different homepages layouts from which you can choose, a large collection of custom shortcodes, many other layout options, an extensive collection of pre-designed blog single post layouts, video background sections, an easy to use visual composer and many other great features. Signflow has an ultra-minimalist and modern design created especially for highlighting the neat menu, the powerful central message, and the dynamic featured image. Easy to install and use, highly customizable, and with many great features, Signflow WordPress theme is a perfect choice for your portfolio. 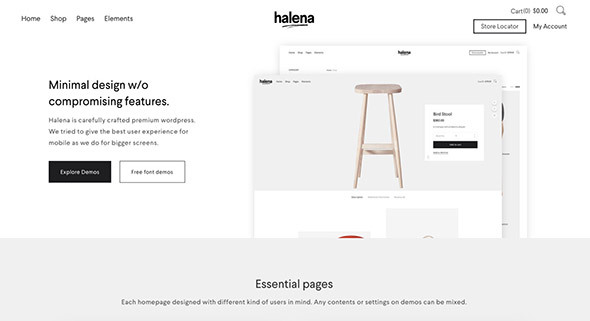 Halena has a minimal, modern and neat design and is best suited for e-commerce websites. This theme is highly responsive, includes 4 different homepage options, an easy to use page builder and many other features that will help you offer a seamless shopping adventure. 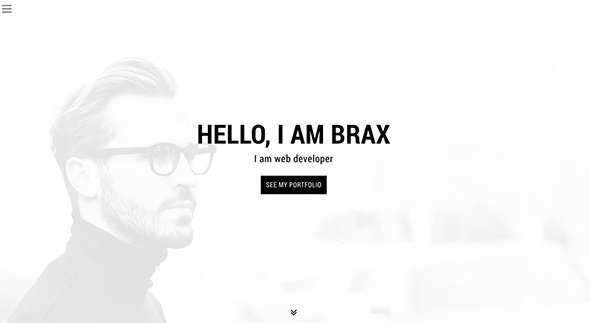 Brax is a highly responsive theme specially created to serve as a portfolio theme for architects, artists, and fashion related specialists with an extremely clean, minimalist and appealing design. 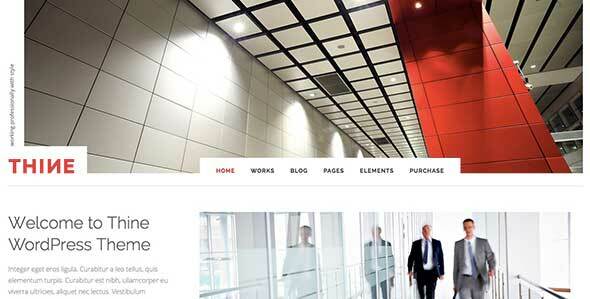 Dukandari is another WordPress theme suitable for online shops. Has a clean, modern and minimalist design and offers many layout options, an easy to use page builder, is highly responsive, easily customizable so no coding is required, and other helpful features. 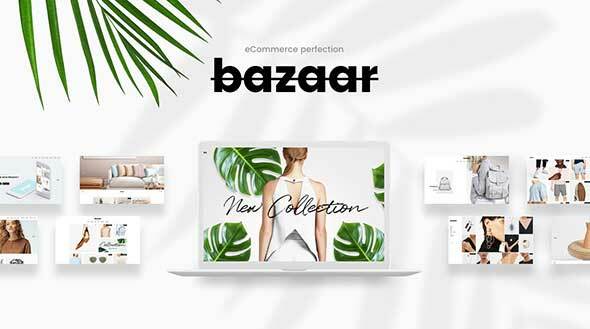 Bazaar is a highly customizable, modern and neat WordPress theme. 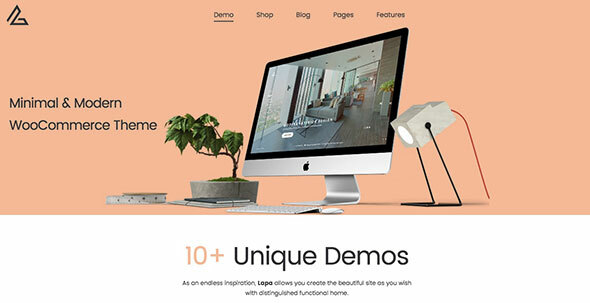 No coding knowledge is required to customize this theme, has a large collection of pages and layouts, helpful plugins, a drag and drop page builder, is fully responsive and an attractive design. 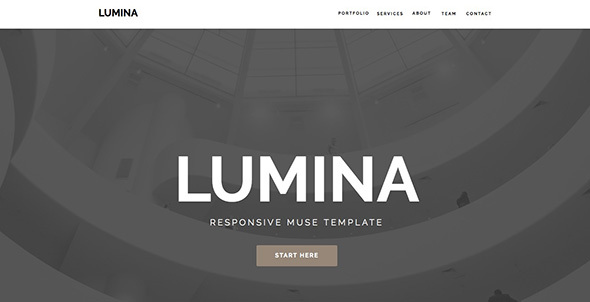 Lumina is another minimalist and modern WordPress theme suited for portfolio websites. It comes with many options regarding pages and portfolio layouts, has a simple and neat design, helpful plugins, easy to customize, fully responsive, easy to work with so no coding is required, different video background sections, a visual composer, is retina ready and has many other incredible features that will make your experience using this theme a unique one. Pristine is another theme suited for portfolio websites and blogs. Has a minimalist and modern design, offers many great features, is fully responsive and is easy to work with. 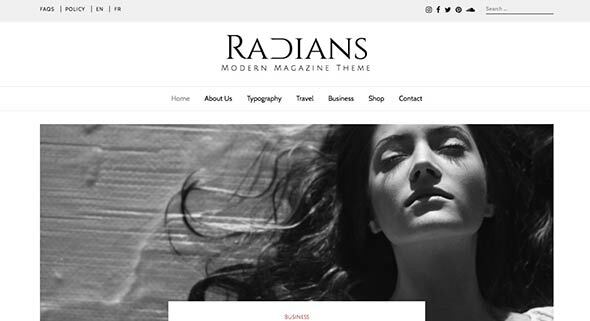 Radians is a modern and elegant WordPress theme created especially for fashion magazines, tech news, traveling writers, and fashion websites and blogs. It’s easy to setup and work with, highly customizable, fully responsive, and comes with many great options an features that will definitely help you create an outstanding website. 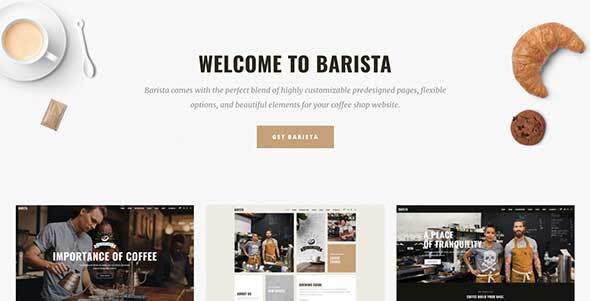 Barista is another minimalist and modern theme that is easy to use, has 8 different homepage options, an impressive collection of inner pages, many coffee related design elements which you can use to enhance the design, an easy to use page builder and many other features. 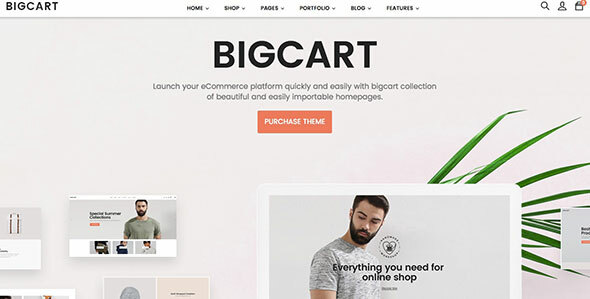 Bigcart is another fully responsive and modern WordPress theme which you can use for WooCommerce websites. It comes with a great design, many helpful plugins, an easy to use page builder, is highly customizable and has many layout options. 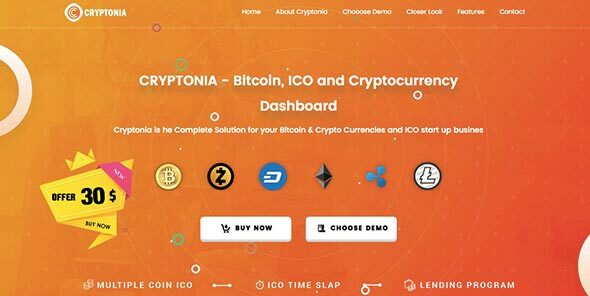 Cryptonia is a visually dynamic WordPress theme created to serve as a perfect solution for Crypto Currencies business websites. It comes with an impressive collection of modern ICO and Crypto layouts, no coding experience is required to handle this theme and has all the required features for everything crypto related, like a trading platform, initial coin offering, E-wallet and much more. 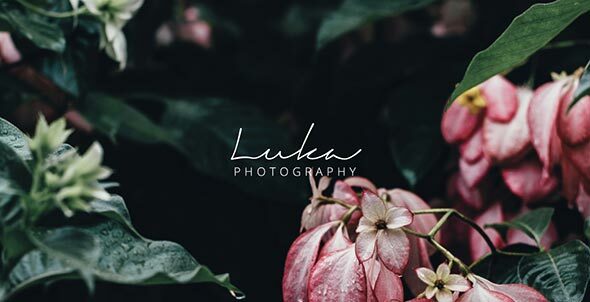 Luka is another modern, elegant and minimalist WordPress theme best suited for photography portfolio websites. 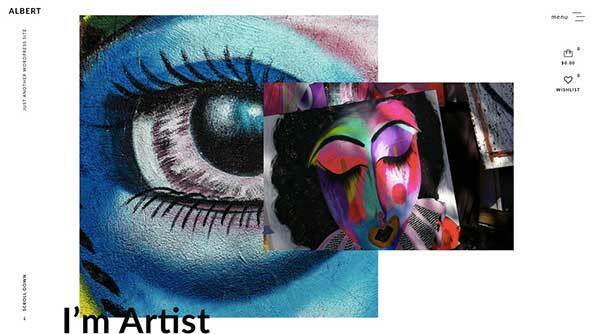 It offers a dynamic experience as the background images change as you navigate the site. 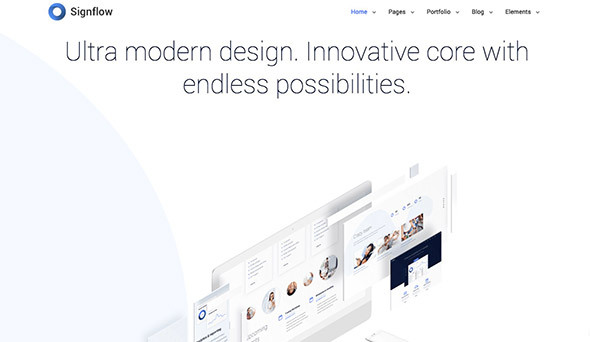 Luka includes features such as a great image gallery, typography and decorative graphic elements, stunning animations, horizontal scroll with full-screen galleries, an easy to use page builder, is highly customizable, offers a fully responsive experience on all devices and is also retina ready. 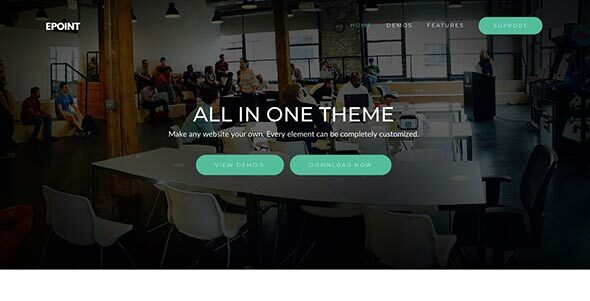 Deploy is a modern and minimalist WordPress theme designed for business websites. It’s highly customizable, simple to install and use so no coding knowledge is required, has the visual composer page builder plugin, video background sections, layout options and many other great features. If you’re searching for an artistic approach, then Albert is the right choice. This WordPress theme offers a modern, minimalist and an intensely artistic design, which you can use for enhancing your online shop website. It’s easy to use, fully responsive, retina ready, very easy to customize and offers many other great features. 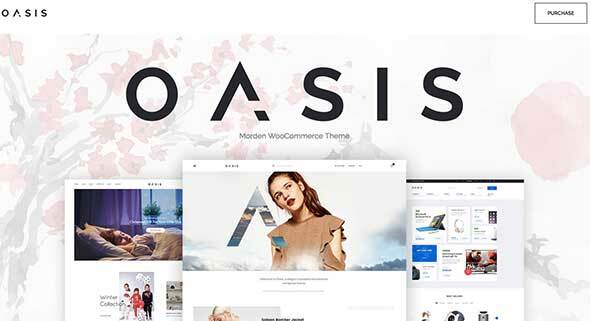 Oasis is a modern and neat theme and it comes with numerous features such as 9 unique Demos, the option to mix up any elements across any variants, custom product filters, more than 10 portfolio layout combinations, is retina ready, WooCommerce compatible, it’s easy to install and use and has a great page builder. 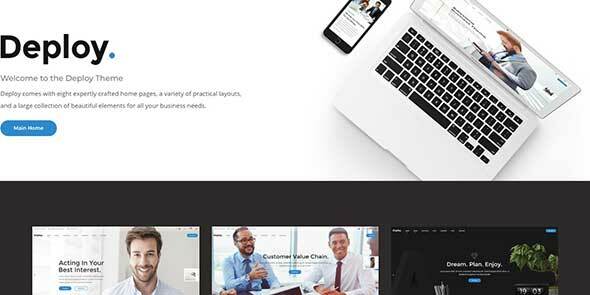 Thine is a neat, stylish and professional WordPress theme best suited for corporate or business websites. It offers the option to use the portfolio to showcase the products, has a revolution slider plugin, the Visual Composer page builder, supports WPML plugin and has many other great features. Epoint is a clean & modern business theme created for Agencies, Business, Consulting, and Finance websites. It’s fully responsive and has many customizable elements. 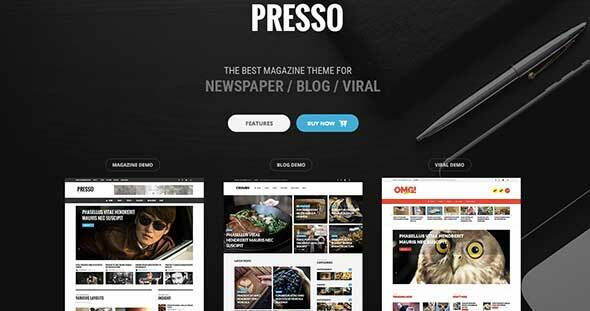 Presso is another clean and minimalist theme which you can use for news related blogs or websites. It’s easy to install and use, fully responsive, easily customizable, has a great drag and drop plugin and many other options. White Label will offer you a great experience and is designed for any web businesses. 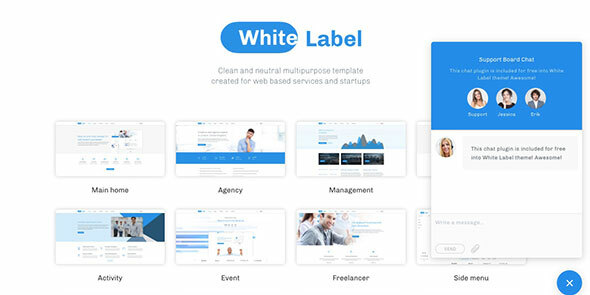 Easy to install and use, White Label has a large set of customizable elements, drag and drop page builder and many other helpful options. 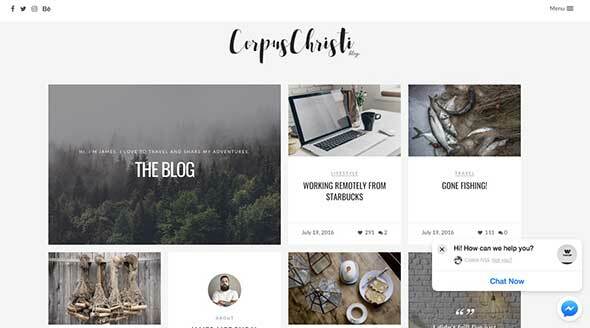 Corpus Christi is another WordPress minimalist and modern theme best suited for travel blogs. Is fully responsive, easy to customize, is retina ready, has many layout options, and many other numerous options for customizing and easy handling. Highfill is a clean and elegant WordPress blog theme, and it comes with many features such as the various layout options, fully responsive design, is retina ready, has an easy to use page builder, many helpful plugins and much more. 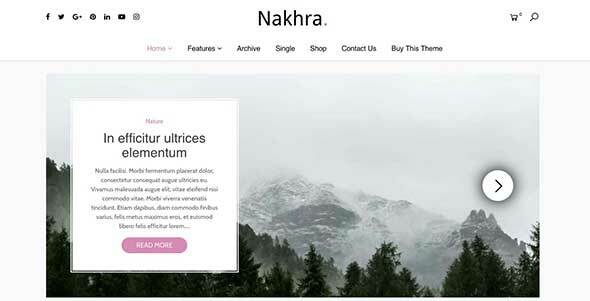 Nakhra is an elegant, modern, minimalist and clean WordPress theme which offers a simple design best suited for any online shop. It comes with 7 homepage styles, 2 post sliders, a powerful customizer, unlimited colors, a fully responsive design, and many other great features.